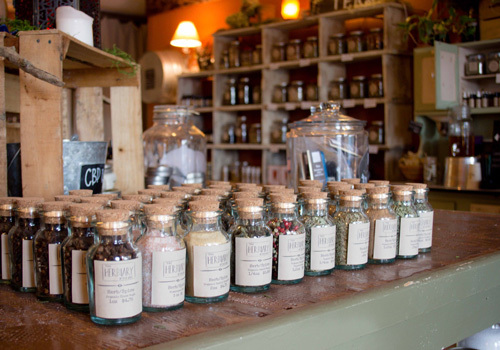 The Herbiary of Blue Ridge is a place of herbal wisdom, Appalachian comradery and general knowledge of all things folk. 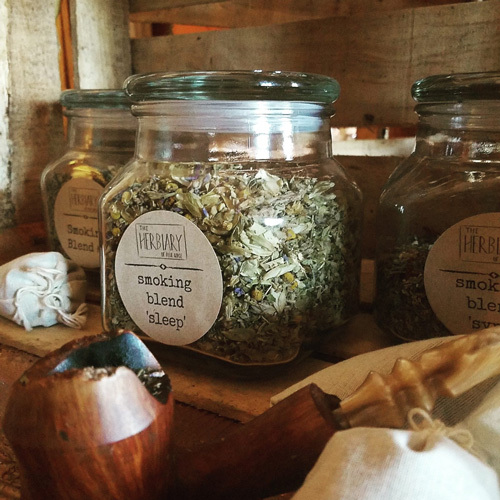 Owners Luke and Amanda tap deep into their Appalachian roots as purveyors of wild-gathered herbs and spices, teas, salves, ointments, extractions, and bath & body goods. 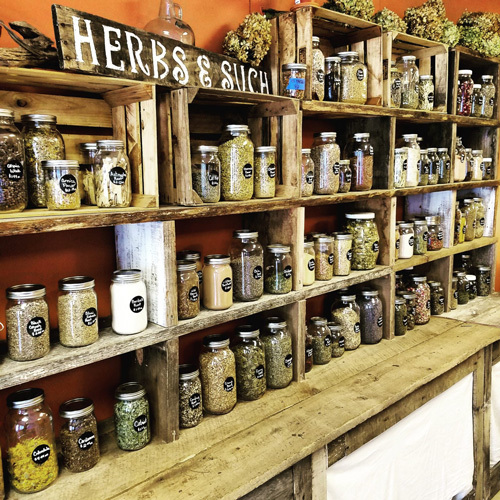 Many of the herbs and products come directly from their small farm, where they use all-organic growing practices (or what Luke’s great- grandfather simply called … farming). 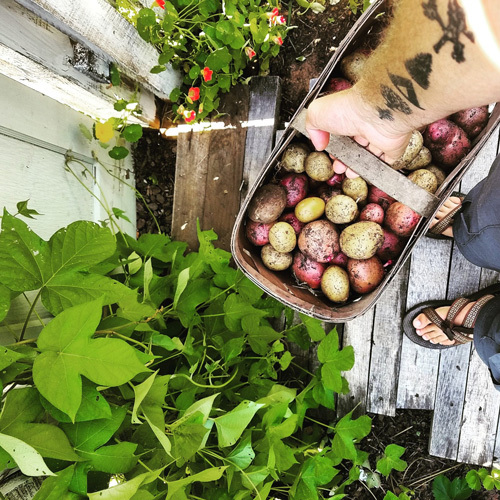 Stories and wisdom are shared through hands-on workshops, and there’s always something fresh to savor. Stop by, sit on the couch with a cup of hand-blended tea or tap your inner rhythm at the Friday drum circle. 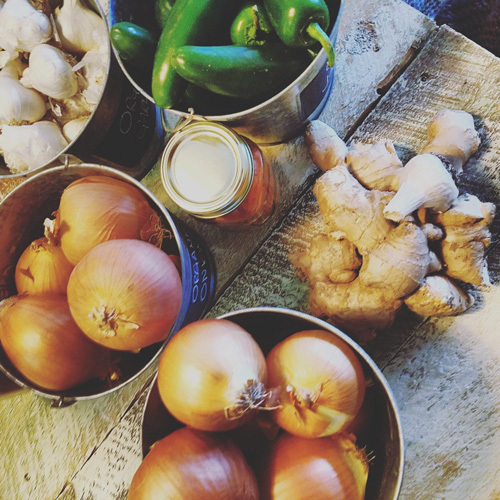 All products at the Herbiary of Blue Ridge are organic, GMO-free or wildharvested, unless otherwise noted. Each of the products holds a story. Whether gathered under a forest canopy sharing time with his daughter or harvesting corn for the CSA under a full moon well into the witching hour with the entire family, everything here holds a mountain memory. 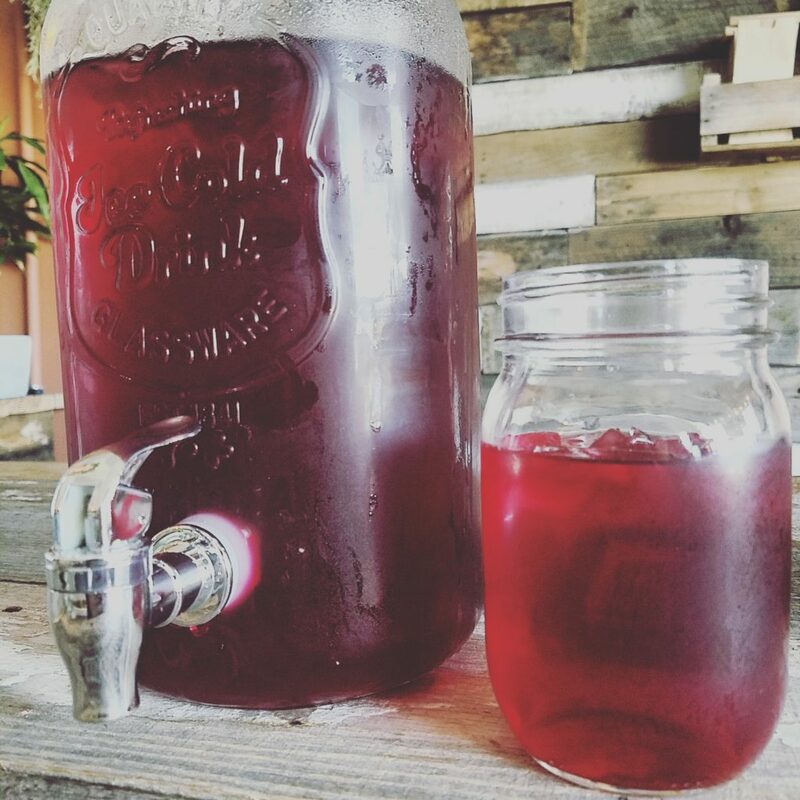 Stop by, sit on the couch with a cup of hand-blended tea, and allow owners Luke & Amanda to tell you one. Or share one of your own with them.